Physicians And AMA Guidelines Aid Commission To Determine Impairment For Workers’ Compensation Benefits | Pothitakis Law Firm, P.C. Every year in the United States, over $60 billion is paid out to workers who are injured or fall ill at work. In Iowa, over 1,400 employees were covered by workers’ compensation in 2013, the latest year which has been reported. The system exists to protect those who are hurt on the job, and it helps many people are able to obtain the medical care and wages they need. Employees are able to use the workers’ compensation system if injured, regardless of fault. For employers, the system protects them against costly and time-consuming litigation. It can be a complicated endeavor, however, as the different injuries and impairments each equate to different benefits. These categories cover injuries that are fully recoverable and those that leave the employee with any degree of lifelong impairment. In either case, the injured worker must miss some amount of work to heal from the illness or injury. 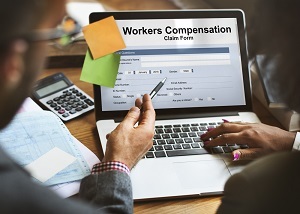 Workers’ compensation benefits can be obtained for varying amounts of time, depending on the exact nature of the injury and how long it will affect the employee. Permanent total disability (PTD). The employee cannot return to employment due to the extent of the injury. Permanent partial disability (PPD). The employee can return to employment. However, he suffers from some level of permanent disability and may not be able to return to the same job as before the accident or injury. PPD benefits are further divided into two categories: schedule member disabilities and industrial disability. Schedule member disability refers to specific body parts, and the state has set a specific number of weeks for benefits to be paid depending on which body part is affected. An industrial disability is known as a “body as a whole” disability. Common industrial disabilities include injuries to the neck and back. Every case is unique, and the payments for each injured employee can be very different. It is necessary when pursuing a workers’ compensation claim to have each injury evaluated to determine the amount of compensation that is appropriate. The first step is a medical evaluation by a doctor. The doctor will determine an injured worker’s percentage of disability, or what is known as an impairment rating. This rating is determined once the employee has recovered from the injury as much as is possible, and it reflects how much the injury decreases one’s ability to perform common daily activities. The injured worker can request a second opinion if he disagrees or is unhappy with the determination of the initial physician. The employer or its insurance company would incur the cost of the second opinion, as well. Many states support the use of the American Medical Association’s Guides to the Evaluation of Permanent Impairment to assess the impairment rating. While some states have included the use of these guides into law, Iowa has not. In rule 876—2.4(85,86), the state indicates use of the fifth edition of this guide as a tool, though specifically states that it is not binding on the Workers’ Compensation Commission. The commission will have the final say on the extent of the impairment, which could result in more or less compensation than suggested by the AMA. The impairment rating is important because it is used to determine how much compensation is awarded to an injured worker. In Iowa, the impairment rating applies to the number of weeks an employee is eligible to receive compensation. For example, the loss of hearing in both ears would equate to 175 weeks of pay. If an injured worker was given an impairment rating of 50 percent, he would be entitled to 50 percent of the number of weeks. This would be wages for 87 weeks. As a result, even a small variance in the impairment ratio can make a big difference to an injured worker and his family. In the given example, a slightly lower impairment ration of 45 percent would reduce the number of payable weeks to 78, which can translate to a meaningful amount of money. If you or someone you love has suffered an injury or illness at work, you may be eligible to receive workers’ compensation benefits. Contact the experienced attorneys at the Pothitakis Law Firm, P.C., to schedule a free consultation to learn more about your rights and the types of compensation that may be available to you.